Scary clown mask, perfect props for horror effect. Buy it for the coming Halloween! 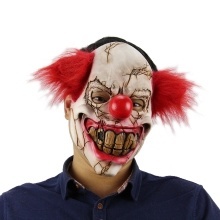 Toothy clown mask, perfect props for horror effect. Full face style with elastic strap, stable wearing.